Bassist Chuck Wright has played with so many bands and artists, to list them all would take too much time. The main bands he has been involved with in his career were Quiet Riot, Giuffria and House Of Lords. 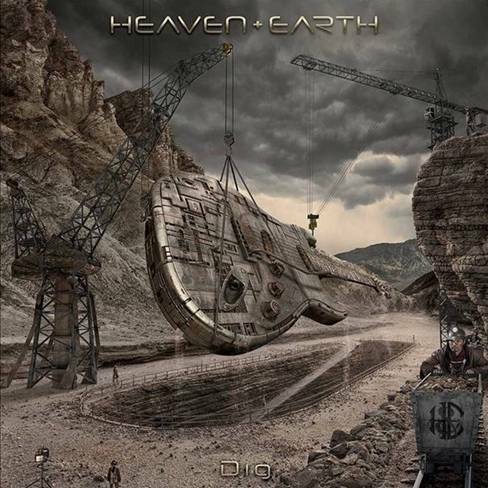 Recently he joined guitarist Stuart Smith, singer Joe Retta, drummer Richie Onori and keyboardist Arlan Schierbaum to play on the third Heaven And Earth album Dig, set to be released on April 23rd. We recently caught up with Chuck and he gave us the skinny on Heaven And Earth and how they plan on taking the world by storm. Rock Show Critique: You are involved in a new project entitled Heaven and Earth. How did you become involved and tell us more about it. Chuck Wright: Stuart I have known each other for twenty years or so. He actually rescued me from a bad situation. I was really in a down and out kind of place. At that period of time my Mother had just passed and my band I was in called House Of Lords kind of fell apart, my Mercedes blew up, and my fiance’ left me. Things were really bad at that time. He called me up out of the blue. He said “Do you want to come up to Lake Tahoe and do this record with me?” It was a saving grace for me and we’ve been friends ever since. Then in early 2012, he called me and said “I’m going to be doing a new Heaven and Earth project album and its gonna be more like a band this time.” The other one I was involved with was really a solo project for him. But with this one, the plan was, we would get into rehearsal, he’d bring in an idea and we’d work on it and work on it some more and turn it into a good song structure. Then Joe, our lead singer would throw in his ideas, coming up with lyric and vocal melody for the music that we were putting together as a band. That’s kind of how this project came about. I’ve always been known as somebody who has a lot of different projects going on all the time and this has been a great experience to be working like this with a bunch of guys who have killer chemistry together. We are very blessed to actually have a record company behind us, which is very unusual nowadays as you might know for Hard Rock music. It’s kind of like being back in the eighties when we had a company that believes in this so much that they’re not afraid to open their pocketbook and make it happen. 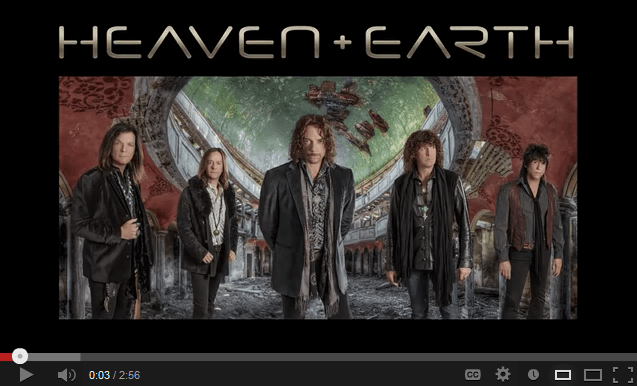 RSC: How would you describe the songs on the upcoming Heaven And Earth album? CW: This album is like you went into the music vault at Atlantic records and there’s an album that didn’t come out but was supposed to come out in the mid seventies and you put it on…and you went oh my god, this is killer – we totally went for that kind sound, a classic rock seventies Deep Purple, Bad Company, Rainbow kind of vibe. We have a couple of epic pieces on it, the opening track “Victorious” is pretty heavy handed compared to the rest of the material, it definitely makes a statement. There are songs that have a strong commercial like-ability to them. I’ve been fortunate to have worked with some great singers in my career and I think Joe Retta, who is singing on this, is one of the best vocalists anywhere. I’d put him on the same stage with Paul Rodgers, Glen Hughes, Robert Plant, any of those guys, Joe’s awesome. RSC: Has Joe sang with anyone else before? CW: Well the story with Joe, (he sings in the band Sweet now) when he was younger and starting to get noticed, he was married and had two children, two girls and his wife passed away. He just put his career aside and raised his daughters. Now that their grown, he’s come back and he’s started to get out there. He blows me away. We have a song called “House Of Blues” on the album that every time I hear it, I think, oh my God, this guy’s incredible, so much feeling, grit and range, so much passion, it blows me away. RSC: Do you guys plan on going out on the road at all? CW: We’re looking at different options right now. We’re actually going to be going into rehearsals real soon and we are planning to do a showcase for different agencies in town. We’re looking at a couple of different tours that are going out. For me its basically just juggling my schedule around because as you know, I still play with Quiet Riot and have off and on since 1981. I also have a local band that I do just for the love of the music more than anything. It’s an acoustic project where I only play fretless bass with Stan Bush singing. We reinterpret Rock Classics with violin, mandolin, acoustic guitars and percussion. I just love this band. It’s a joy. I get to rock out on the road then I get to sit down and do something musical just for the sake of the musicality of it. We’re called “Acoustic Saints”. RSC: You also have other things you do as well? CW: Yes, I really have cut back a lot on my graphic design work, mainly because I haven’t had the time for it. I was just contacted by Matt Sorum from Guns N Roses and The Cult, about doing art for his next solo album. I did his last CD package and he asked me if I could work on the next one, I just don’t think I’m going to have time. When that question came up for Heaven and Earth, about the CD package and all, I said, look you guys, I think I’m pretty good but let’s get the best in the business. So I introduced them to Glen Wexler who I feel nobody can touch with his vision and creativity. We brought him on board for Heaven and Earth as a creative director, so much so, that besides the photography and album cover design, he also directed our videos. The first video coming out for the song “No Money, No Love” takes place in a turn of the century Victorian era bordello, it’s like “The Shining” meets “Eyes Wide Shut” kind of style. I think it’s real different, no one doing Rock is making videos like this anymore. So we’re totally going for it, trying to recreate an era that everybody really loved and misses. RSC: Take us back in time to how you originally became involved with Quiet Riot. CW: Well I have been a part of the band’s history for 30 years. I’m on the majority of their albums. A lot of people don’t know that I’m the bass player on “Bang Your Head (Metal Health)” and “Don’t Wanna Let You Go” from the Metal Health album, which was the big one that everyone always refers to. I did the all the gigs, the showcases for labels and I did the one where Spencer Proffer signed the band. The band was called DuBrow at the time, which turned into Quiet Riot, which was Carlos Cavazo, Frankie Banali, Kevin DuBrow and myself. I replaced Rudy Sarzo who went off to play with Ozzy Osbourne and Randy Rhoads. Randy was the guitar player in Quiet Riot in the beginning. When that plane crash incident happened with Randy, Rudy didn’t want to continue on with Ozzy and he wanted to come back to Quiet Riot. At that time I had my own band with Richie Onori, (the drummer for Heaven and Earth). We had a band together for six years called “Satyr” that was one of the biggest drawing bands in LA. We were the first band to use krypton lasers and I wrote most of the music. It was a progressive rock kind of thing. For a better comparison Genesis meets Led Zeppelin kind of style, with costume changes, staging and lasers, it was a huge thing. That was my love, my band. So when Rudy rejoined I kind of said to myself “oh that’s a drag, I dig those guys” but at the same time I had my own thing going. It was bittersweet because later when they went #1, Kevin DuBrow called me up and said “How does it feel to be on the number one album in the country?.” I didn’t know what to say because I was a part of it, but I really wasn’t out there with them. I later got involved in the second album Condition Critical. I was asked to join the band after Rudy quit and was an official member in 1986 with the QRIII release. I left the band Giuffria, which was doing pretty well. We had just toured with Deep Purple and Foreigner. Kevin called me and said Rudy left the band, do you want to come back into the band and write everything with us. I said yeah. oh yeah. 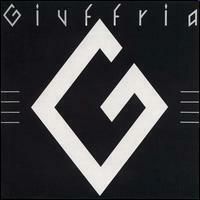 The band Giuffria was David Eisley and Gregg Giuffria’s band and they wouldn’t let anyone else contribute songwriting wise. Kevin gave me the opportunity to come in and write the QR lll album with them so I jumped onto that. RSC: So that’s why you left Giuffria? CW: Yeah, I left Giuffria because they weren’t allowing other members to write, Craig Goldie left to join Dio for the same reason. They weren’t allowing us to contribute song writing wise. A big part of being a musician is the expression of songwriting. It’s also a big part of your income down the road. They weren’t allowing that to happen with us so we both decided to leave the band. RSC: You and Craig left at the same time basically? CW: Yeah we left exactly the same time. I remember seeing a Japanese article and we both have a cup of tea and we’re both smiling because we both left. It’s kind of funny when I saw that picture. Yeah after our Japanese tour we left the band. RSC: Now you ended up back in Giuffria at one point after that? RSC: You ended up with working with David Glen Eisley on some of his solo albums as well. CW: Yes, I did a couple records with him, we’re super close friends. I see him once in a while because now he lives in my area. He’s gotten really busy managing his daughter who’s becoming a big movie star now. His wife was one of the biggest movie stars in the world at one point. Her name is Olivia Hussey from Romeo and Juliet and other films. The acting gene is in their blood and his daughter’s also an incredible actress. She’s in Underworld and Twilight for example. He basically manages her career which is doing great. RSC: Is there any chance you would get together and work on another project in the future? CW: I don’t see that happening at this time. I would love to but he’s focused on that part of his life right now. I don’t really know if he has an interest in going back to doing music. 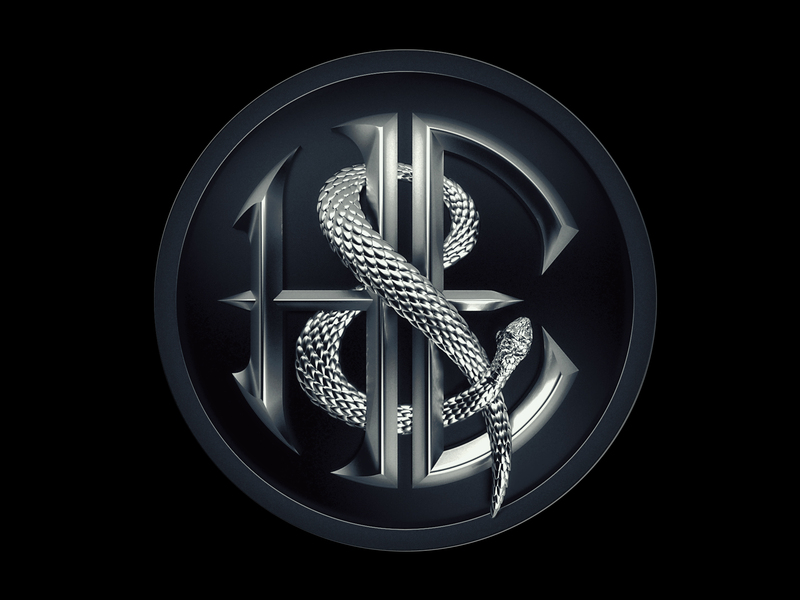 With Heaven and Earth, our goal with this record company, our great management team and publicist behind us, is to bring Rock music back to where it’s real again. If you love Rock like it used to be, you’ll love this album! Special thanks to Aaron Feteri from MSO for setting up this interview.